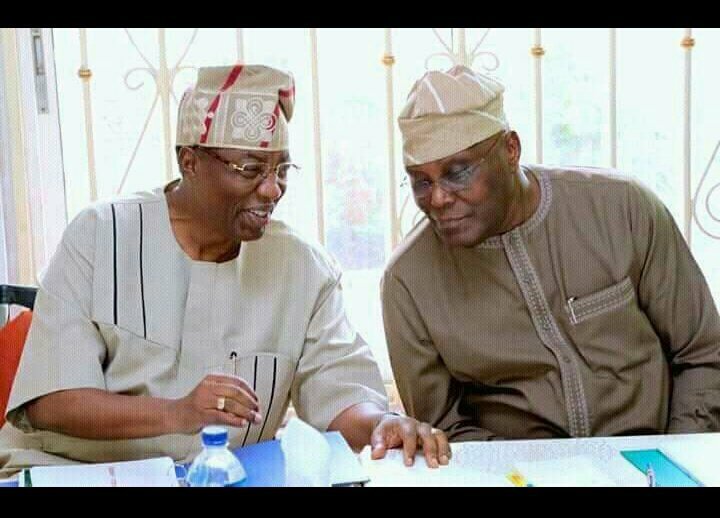 The former two-time Governor of Ogun State and Director General of the Atiku Abubakar 2019 Presidential Campaign Organisation denies allegations of abandoning the former vice president. Following the announcement of his retirement from partisan politics and reports that he is considering joining the ruling party, All Progressives Cogress (APC), Daniel was accused of abadoning Atiku even when the final decision of the election tribunal is still being expected. Femi Fani-Kayode, Nigeria’s former minister of Aviation regarded Daniel’s decision as “sad” considering the “tragic” situation with which Atiku was “rigged out”. “For the 1st DG of Atiku’s PCO and his closest confidante in SW (Southwest) to dump PDP and join APC before the conclusion of Atiku’s election petition is sad. For a man that was gunning to be SGF in an Atiku govt to join Buhari after Atiku was rigged out is tragic!” Fani-Kayode wrote on twitter. Daniel, in a response refuted Fani-Kayode’s claim, pledging what seemed like allegiance to Atiku whilst pushing aside any thought of joining APC.